A lot of people think when they start on the low tox life journey it means saying goodbye to treats. In a way, you do say goodbye to some treats – or so you might have called them once upon a time (read more on redefining treats here). But what you replace them with, when it comes to making a special dessert to share with your family and friends, is real ingredients with most-often nourishing qualities of their own, literally making your desert work for you – AND give you your dessert fix at the same time! If you’re tired of making my Chocolate Pudding with Goey Bits, or the warm cinnamon apple hazelnut cake or the sticky date pudding (gosh that’s been around for years now!) then you’re in luck: I’ve done a round up of a few friend’s recipes that will surely inspire this weekend. 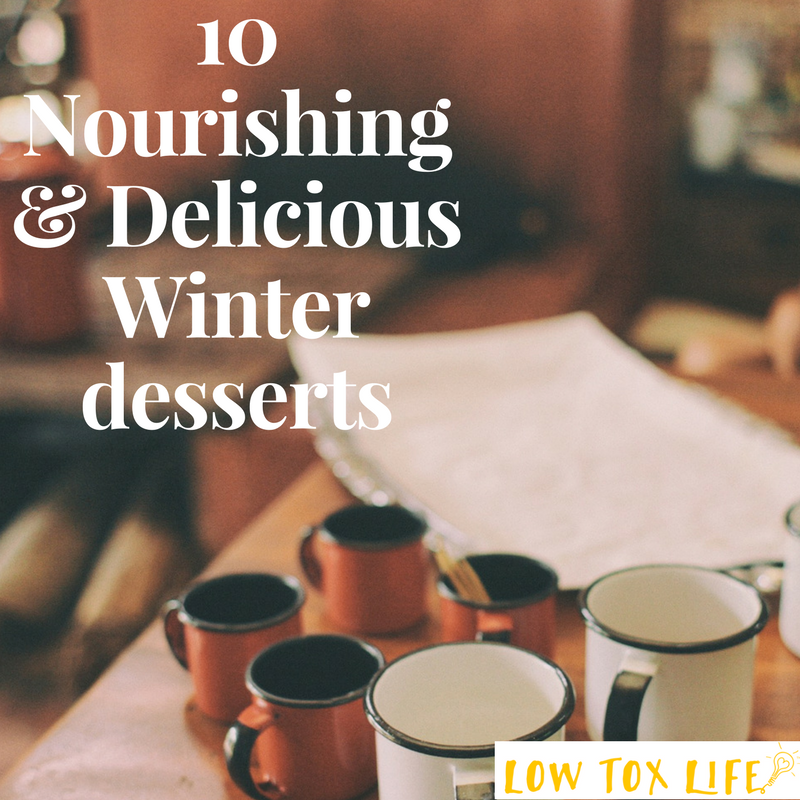 This little round-up is perfect for winter and won’t leave you feeling sluggish but instead, super satisfied in a glorious hit-the-spot way full of good stuff. Doesn’t that sound like perfection? 2. Slow Cooker Baked Apples from Stacey Clare – Put your slow cooker to work for dessert and reap the rewards. SO simple and quick to prepare, SO delicious to eat. 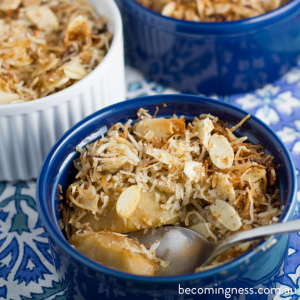 You could pair this with my Turmeric and cinnamon custard for an extra treat in the mix, too! 3. 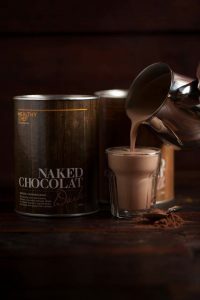 Healthy Hot Chocolate from Her Nourished – I love a good hot chocolate and this one looks DIVINE! and if you fancy more warm wintery drinks, you’ll maybe remember my winter drinks feature from last year? 4. 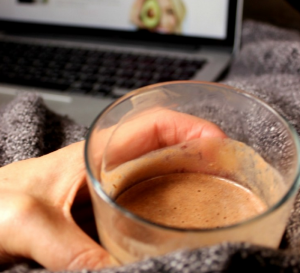 Healthy hot chocolate – I want this. Now. 5. 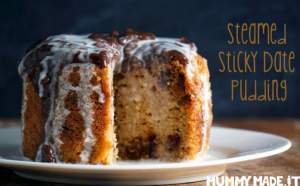 Steamed Sticky Date Pudding from Mummy Made It – Mummy Made it always has reliable recipes and this is no exception. Enjoy! 6. 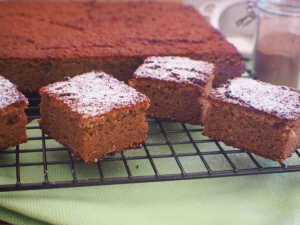 Cardamom Spice Cake from Brenda Janschek – I made this the other day to test it and MY MY Brenda – What a delicious and simple recipe. 7. 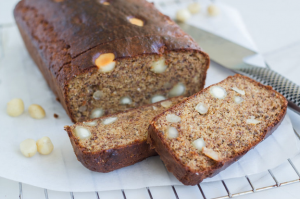 Banana Macadamia Bread from Becoming Ness – A great after school winter’s snack toasted with lashings of butter. 8. 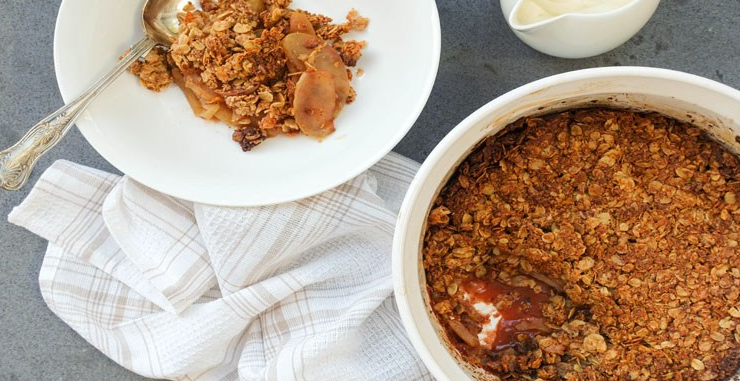 Gluten Free Apple Crumble from Becoming Ness – Crumbles are comfort in a bowl to me and I’ve just realised I don’t have a single one on the blog! Lucky Ness has one to share. Enjoy. 9. 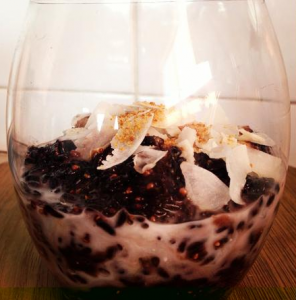 Superfood Black Rice Pudding from Nourishing Hub – My son adores it when I make a black rice pudding which I do with coconut and mango. Given I’ve never written mine out (again with the failing) lucky my gorgeous friend Simone has written hers out and it looks divine. 10. 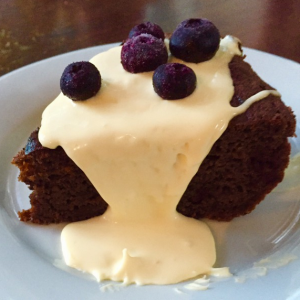 Hot Chocolate Cake with Honeyed Cream from Brenda Janschek – Yum. That’s all I need to say on this one. Chocolate cake right out of the oven with cream? Oh my! So enjoy those delicious desserts and drinks – the question is: Which one first!? Feel free to tag me if you fancy showing off your efforts.